MOV, a file extension used by the QuickTime-wrapped files, is a format created by Apple Computer used for storing and playing back movies with sound. MOV is the file extension and it is used by the QuickTime-wrapped files. 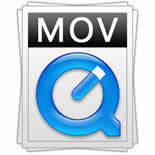 MOV format can be only connected with Quicktime. It is a format created by Apple Computer and used to store and play back movies with sound. And it is supported by both Macintosh and Windows platforms. MOV is a multimedia container format used to store movies and other video files, which contain graphics, 3D, video, animation and virtual reality (VR) content or subtitles. A MOV video file can contain one or more tracks, each of which contains either a data reference to the media stream located in another file, or a digitally-encoded media stream with a specific codec. These tracks are maintained in a hierarchal data structure. MOV files are quite often found in the web. It is not limited to Macintosh operating systems, but also can be played on Windows computer. However, if you want to play MOV files under Windows OS, you have to install an extra component or convert the MOV file to other formats. Why there are so many people like to use MOV format files? 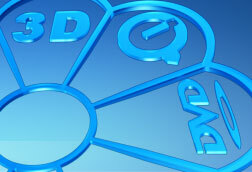 The most standing out advantage of MOV files is the ability to contain abstract data references for the media data. That means that they can be easily edited but not need to rewrite all media data after editing. MOV videos are very easy to play. 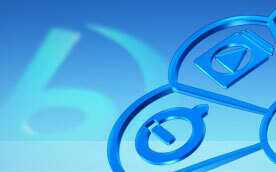 Use VLC player from Video Lan and QuickTime Player, which is similar to Windows Media Player. With them you can watch QuickTime multimedia either inside or outside of the web browser, no matter under Mac operating system or Windows operating system.